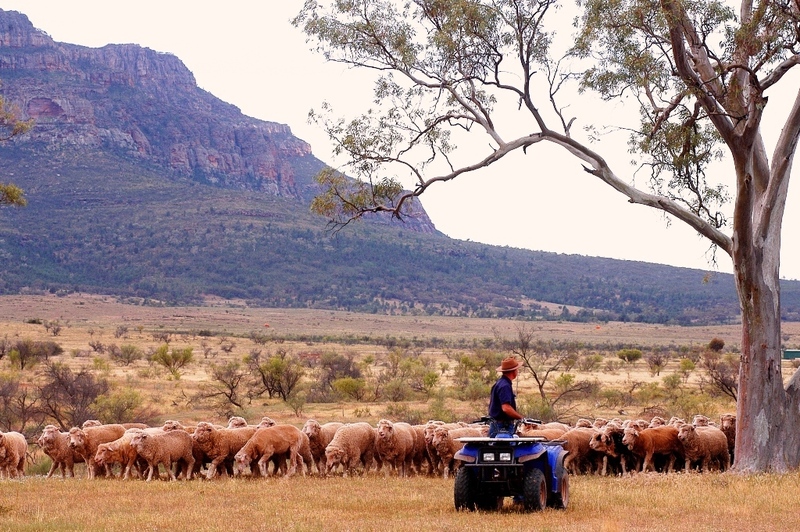 Rawnsley Park Station is a commercial sheep enterprise of approximately 2000 sheep on 12 000ha of land. The Australian Merino and South African Dohne combine to produce a dual purpose sheep that produces high quality wool and meat. We visit the woolshed to see some of the sheep and learn how the wool is sorted and prepared for sale. We then tour the property while checking on the watering points that are equipped with windmills and solar pumps.